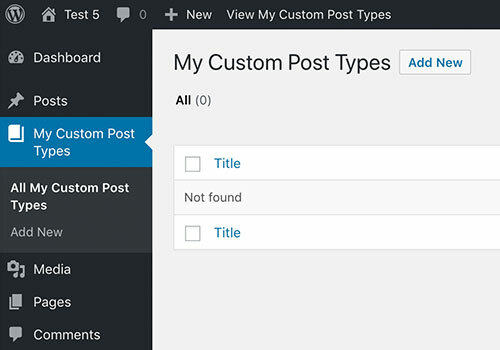 Use this tool to register a custom post type on your WordPress site with register_post_type() function. After you finished that, name your custom post type. A singular and a plural name is needed to set the correct labels at the backend. Please make sure to set a unique post type key, to prevent errors. This is the key you will use in your queries within your project. Optionally you can select a shot description of the custom post type and a text-domain. The text-domain makes your theme translatable. Now that all basic settings are made it’s time to define how the custom post type will behave. Check the hints for a short description of each argument. In most cases the default settings from Hasty will make it work. However it is recommended to specify the arguments depending on your needs. If you are missing any languages for the post type labels we appreciate new translations via mail language@wp-hasty.com. After all settings are made, define what built in features you need on your post editing screen. By activating only the necessary features, you make sure that the post editing screen is nice and simple.